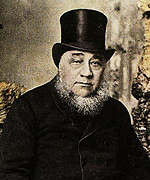 Paul Kruger is believed to have been born on 10 October 1825 on his grandfather’s farm, Bulhoek, in the Cradock district, near the present day town of Steynsburg. At the age of ten his family set out as part of the Great Trek and he was brought up within the strict tenets of Dutch Calvinism. Kruger fought in the Battle at Vegkop in 1836, where they fought against Mzilikazi. Paul’s father and uncle were two of the founders of the town Potchefstroom, the first capital of what would later become the Zuid Afrikaanse Republiek(ZAR). When Kruger was 16 he received his first farm near present-day Rustenburg, as was the custom, and named it Waterkloof, in the Magaliesberg. In 1842, he married Maria du Plessis, who was a Voortrekker girl from Tarka. In 1846, he returned to the Magaliesberg, where both his wife and baby died of malaria. A year later, Kruger married Gezina du Plessis, his first wife’s cousin (a suburb of Pretoria is named after her). Together they had 16 children, but some died in infancy. Kruger began his military career at an early age, and served as a veldkornet during his teens. He also began to have an interest in politics, and accompanied Andries Pretorius to the signing of the Sand River Convention in 1852, where the Transvaal was granted its independence. Kruger had an arch-enemy in Cecil Rhodes and his Cape political associates. 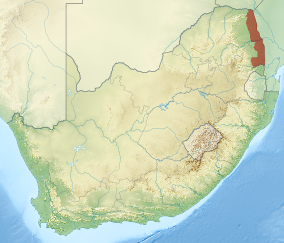 The latter regarded the western parts of the Transvaal as the ‘Suez Canal’ of Africa. It was the Imperial way across the Limpopo and into the far northern interior. Kruger had, against the terms of the London Convention, proclaimed the area a Transvaal protectorate, and had to withdraw. Later this land became the British protectorate of Bechuanaland. In 1886, the discovery of gold in the Witwatersrand resulted in a flood of immigrants or ‘uitlanders’ to the area. This was a threat to the new political independence of the Transvaal and the Afrikaner identity. Kruger’s government needed the revenue from the mines and didn’t have any legitimate reason to remove these foreigners, but to grant them full political rights would negate everything he had fought for. Rhodes, the ‘uitlanders’ and their representatives in Johannesburg, the Reform Committee, increased the pressure on Kruger, but the failed Jameson Raid of 1895-1896 spoiled the possibility of a peaceful resolution. The aftermath of the Raid showed Kruger at his political peak. Jameson and his officers were released to stand trial in London and the ‘uitlander’ leaders, most of who had been convicted of treason, had their sentenced reduced greatly. This afforded Kruger with the moral high ground and for the next six years international sympathy lay with the Transvaal. This also resulted in him defeating Piet Joubert in the 1896 presidential election. Later Kruger did make some concessions to the British, but Alfred Milner, the High Commissioner, made increasingly difficult demands. Britain was determined to create a unified South Africa and negotiations were no longer about the rights of ‘uitlanders’. The South African War, or Anglo-Boer War, broke out on 11 October 1899, and Kruger, now 74, remained in Pretoria as a result of poor health until 1900. He left the capital only a few days before Lord Roberts occupied it in May of the same year. On 21 October 1899, Kruger boarded the Dutch warship Die Gelderland, sent by Queen Wilhelmina of the Netherlands, at Lorenço Marques, and left for Europe. There he tried to gain practical support for the Boer cause, but was mostly unsuccessful. He did, however receive a lot of moral support. For a period of time he lived in the Netherlands, but moved to Clarens, Switzerland, where he died on 14 July 1904 from heart failure caused by hardening of the arteries. Kruger was also instrumental in the formation of the Kruger National Park, the largest and one of the most famous national parks in the country.